The US State Department and Hashemite Kingdom of Jordan are trying to block a Senate bill that would require an accurate accounting of how many 'Palestinian refugees' receive American aid dollars. The push came after the US Senate Appropriations Committee approved on Thursday language that would distinguish between Arabs who fled Israel in 1948 and their descendants. The new language, introduced by Sen. Mark Kirk (R-Ill.), seeks to distinguish between those "whose place of residence was Palestine between June 1946 and May 1948 and who were displaced as a result of the 1948 Arab-Israeli conflict; and who are descendants" of those people. Using the new language, the US definition of who is a 'Palestinian refugee' would drop from 5 million to 30,000, which could directly impact the 1.2 billion in aid dollars the US pumps into the UN Relief and Works Agency for Palestinian Refugees (UNRWA) agency each year. UNRWA, the main body assisting 'Palestinians refugees,' unlike other UN agencies, assigns refugee status to descendants of Arabs who fled the area during the 1948-1949 war, although in its definition it is careful to distinguish between the two populations. Globally, all other refugees receive assistance from the UN High Commission for Refugees, which conforms to international conventions and does not confer refugee status on the descendents of refugees. Nonetheless, the State Department formally expressed concerns about the language in the amendment, but Kirk prevailed. “The amendment simply demands basic transparency with regard to who receives U.S. taxpayer assistance," he said. But now, Jordan – where large portions of UNRWA expenditures go to the so-called refugee camps in Jordan – is also lobbying the Senate not to amend the appropriations bill. For Jordan – of whose 5.9 million residents 1.9 million are formally defined as 'Palestinian refugees' by UNRWA – the amendment poses a daunting fiscal, legal and political problem. 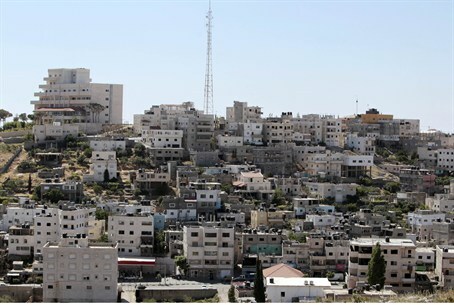 Like other Arab nations, Amman has elected to define the children and grandchildren of Arabs who fled Israel in 1948 despite their having been born on Jordanian soil. Arab leaders claim they refuse to grant citizenship to the descendents of Arabs who fled Israel in 1948 "to avoid dissolution of their identity and protect their right to return to their homeland." However, Tashbih Sayyed, a fellow of the Foundation for Defense of Democracies, has written the end result is that millions of native born residents in Arab countries are treated as second class citizens. They "cling to the illusion that defeating the Jews will restore their dignity," he wrote of the justification Arab leaders employ in order ignore UN conventions that seek to reduce statelessness. Were the US to effectively defund UNRWA, it would realign US policy with Israeli policy and provide Jerusalem with diplomatic leverage with which to nullify the so-called 'right of return' in peace talks. "This will have major implications for future negotiations over final status issues with regard to refugees," said a senior Senate aide. The so-called 'right of Return is a 'right' many claim had been contrived to further the 'Palestinian cause' and de-legitimize the State of Israel, is one of the thorniest issues with regard to the conflict and continually results in a stalemate in negotiations. It has long been asserted that if Israel were to concede to Palestinian Authority demands, it would no longer be able to retain its Jewish character and would thus be stripped of the very ideals upon which the state was established. While the landmark bill is expected to draw the wrath of the Arab world and ‘Palestinian’ liberation movements, it is also expected to be a step in restoring the fundamental, but long overlooked, truths behind the Mideast conflict. Palestinian Authority negotiators have previously suggested they would concede the 'right of return' in exchange for a final status package.